The Devon Horse Show and County Fair has prided itself on the tradition that is showcased throughout its historical grounds since the very first show held in 1896. 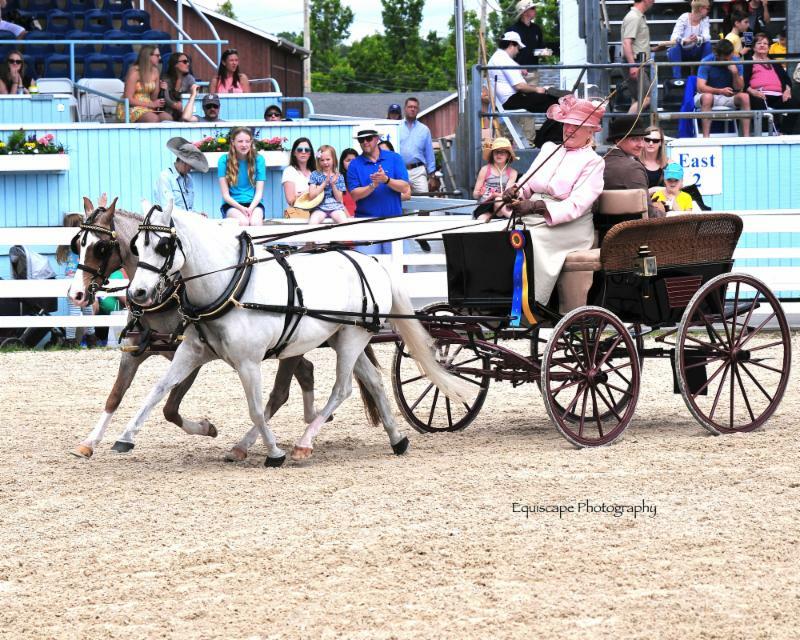 The Carriage Pleasure Drive has been a part of the Devon tradition for over 50 years and continues to entertain and excite exhibitors and spectators alike each year on the Sunday before Memorial Day. Crowds filled the stands to watch in awe as the horses, carriages, whips and passengers gracefully parade around the Dixon Oval. Immediately following the initial inspection, competitors tackled a 4.5-mile drive through the picturesque neighborhoods of Devon, Pennsylvania. 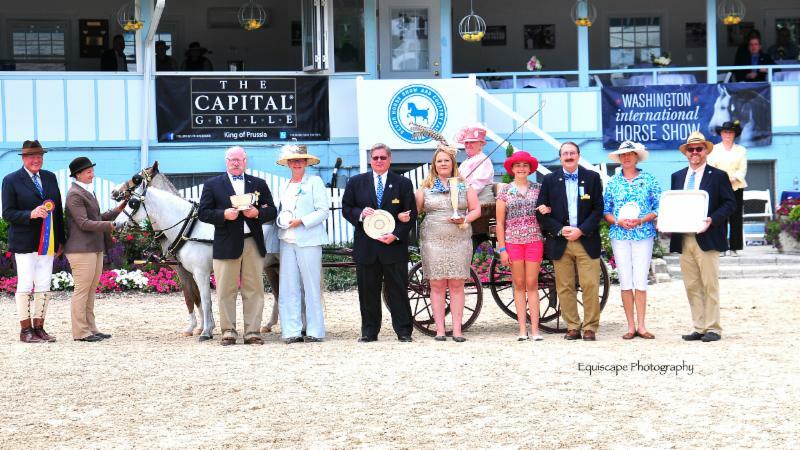 In the 51st running of the Carriage Pleasure Drive, Molly Neville of Collins, New York, came away with the coveted Carriage Pleasure Drive championship award. Neville, piloting Helen Lenahan’s pair ponies in the Relhok Serenity Blue carriage, received the championship apron as well as the Robert and Virginia Weaver Challenge Trophy for best turnout overall. Sunday’s championship was made all the more sweet as Neville accepted her awards in memory of Lenahan who just recently passed away. In the Two-Wheel Single Harness division, Tanya Mackeand was awarded the blue in her Dog Cart. The blue in the Four-Wheel Single Harness division was awarded to Betsy Demarino Vmd, who was driving her 150-year-old vehicle, the Moor and Sons Ralli Car. Competitors in the Double Harness-Pairs-Tandems division were next to receive their awards, where a familiar name earned the Orleton Farm Challenge Trophy, Richard O’Donnell. 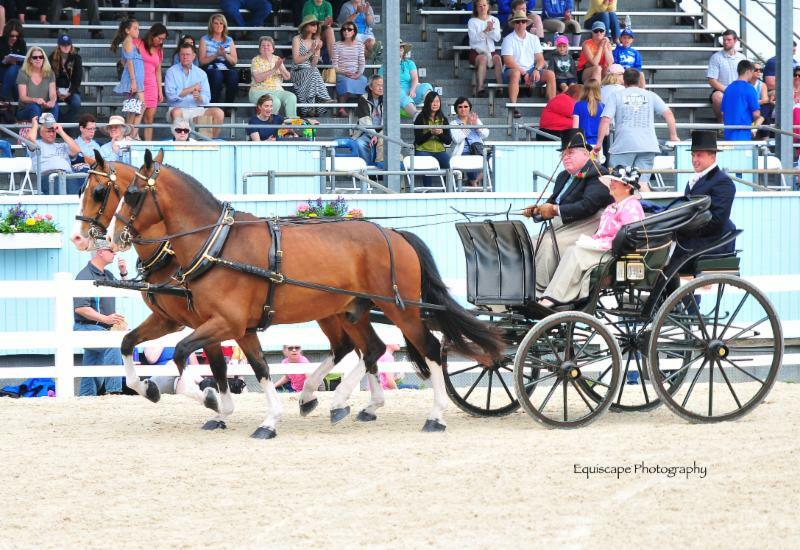 O’Donnell, president of the Devon Horse Show, piloted his 1880 original Spider Phaeton carriage to earn top honors. The Carriage Pleasure Drive Amateur Whip Award and Susie S. Buchanan Perpetual Trophy was also awarded to O’Donnell for exemplifying the tradition of carriage driving at the highest level. Frances and Wayne Baker in the Roof Seat Break carriage earned the Third Susan Addis Challenge Trophy in the Four-in-Hand division. The Martin Auctioneers Inc. Perpetual Trophy was awarded to Mrs. Collin F. McNeil in her Saylor Wagon/Governess Cart for her win in the Two-Wheel Single Harness Pony division. The winner of the Four-Wheel Single Harness Pony division was Zana White in the Sailor Wagon. Carriage Pleasure Drive champion, Neville, also received the individual blue in the Pony Double Harness-Pairs-Tandems division. Devon exhibitors always anticipate the arrival of Roberta O’Dell’s eclectic and entertaining carriages to the Dixon Oval. This year she showcased her “Popcorn Wagon” that was pulled by her four white mules in the Light Commercial and Farmer’s division. Driving competition continues Monday morning with the Pair Horses and Single/Pair Pony championships.